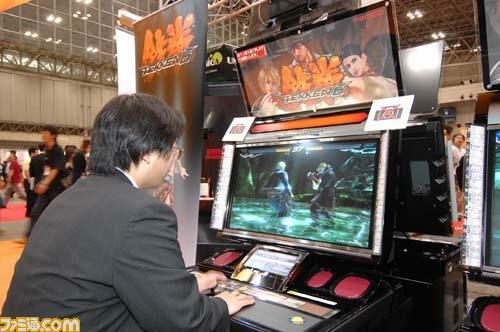 SEPTEMBER 2007 | SDTEKKEN.COM - TEKKEN News Resource! New Tekken 6 video! Special thanks to tenmaru913 for uploading! Three new Tekken 6 videos! Special thanks to tenmaru913 for uploading! A new batch of Tekken 6 vids have surfaced! Special thanks to mukumuku, UNCONKABLE!!!! and everyone else for the updates! “BOUND” system is the extra bounce done when ending juggles with moves that knock down the opponent. The “Bind” can extend combo potential greatly, for example with Lili: u/f+3, (new stun), d/f+2, d/f+1, 1, d/f+3, B! (Bound), d/f+3+4,3+4, BT +3 ! DCK 2, f+2,1~B, FLK 2, B!, f+2,1 into combo ender of your choice is possible. WS+1, f,f+3, 1, f,f+3, d/f+4,4, B!, into his new disappearing move that looks like his 5.0 f,f+3+4. 4,3,3 and 2,1,1 lead into B! status. u/f+4 does not launch when enemy is in crouching state (EDIT: Changed due to newly found low parry properties). King now has b+1 into his u/f+3 move. King’s f,N,d,D/F+4 now launches for a juggle. Hits mid. King’s u/f+4 hopkick may have been removed. 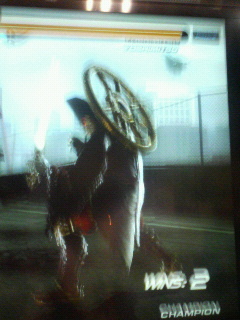 Marduk has a new move that looks similar to Jack’s 1+2,1+2 move. The second hit causes B! status and people were using that with a ground throw followup for reaunch. f+1+2 is now a new move that is a quick mid double gun shot punch that has decent range. His old f+1+2 is now done by inputting f,f+1+2. EWGF, b,f+2,1,4 causes B! status. Other possible B! juggles can be done after the following moves: WS 4,4, d/f+4,4, and d/f+1,2. WS+2, b,f+2,1, 1,f+3~3, B!, dash d/b+2,2,3 is possible. The CDS (b+1) 4 is now faster. Kuma now has a d/f+2,1 move which is very much like Heihachi’s old twin pistons attack. When launched the opponent is head towards, face down in the air. 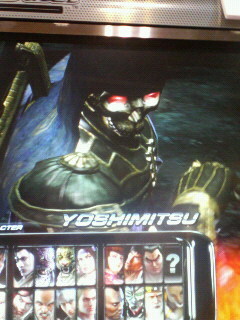 His b+1 is different now, it has the properties of Ganryu’s d+1(forces enemy to crouch and knocks down on hit). Also causes B! status. Kuma hellsweep, WS 1+2,1+2~HBS, B!, d+1+2,1 is possible. f,f+2, backdash, u/f+1+2, u/f+3,4,1+2, B!, b+1 is possible (does about 50% life). d/f+2 when used in juggles causes B! status. New move, d/f+1+2 is a spinning mid punch that knocks down on normal hit. Followups might be possible. New move, d/f+2+3 throw that does a triple headbutt. u/f~d+1+2 unblockable causes B! on hit. Armor King how has a punch reversal where he breaks his opponent’s arm. SS+2, d/f+3,2, SSL+1~b~u/f+4, 1, f,f, 1+4, B!, f,f, d+4,1, f,f+1+2 is possible. f,f+4 can recover in BT. d/f+1 series can cause B! status. 1+2 no longer knocks down on normal hit. d+1+2 on CH shifts to the f,f+2 attack throw mixups. 3,2,1 string juggles opponent on hit now like in TTT. Here’s a big video update from geesendou of JOYBOX! With the 45th annual AM Show now underway in Tokyo, Japan… Tekken fans all over the world expect to be spoiled with TONS of info on the latest installment of our favorite series! Tekken 6 is being shown in full force! Complete with a new arcade opening sequence and an upgraded gameplay build, make sure you keep your eyes on our T6 section for updates throughout the week/weekend! Newly unveiled is the “bound” effect used in juggles. Normally after moves that knock the opponent down in juggles and they can not tech roll, a new “bind” comes into play. For example. Kazuya can now do EWGF, EWGF, 1, f+4 (bounce off the floor), into f,N,d,D/F+4,1! The gameplay is very different from the build shown at the last testing. After a wall combo the recovery situation has changed for the opponent. u/f+3 does not launch anymore but it knocks down into a new stun that leads into a juggle. Bob has a Mishima style wavedash. Bob can juggle off his d/f+1+2 throw. 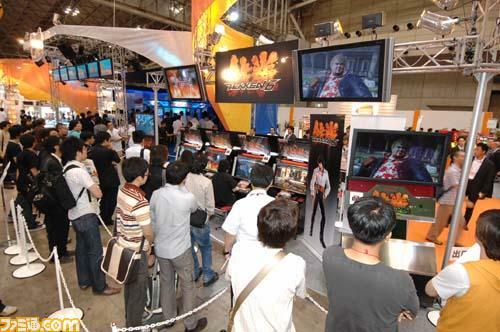 鉄拳6出展　ほか ＞9月13～15日　一般公開は15日のみ　10:00開催 Namco Bandai Games of Japan has announced that they will show Tekken 6 at the upcoming AM Show in Japan starting Sept. 13th until the 15th. Expect some news as early as late tomorrow night! I like what you posted here, very informational. I was born in Memphis and your site brought back a lot fond memories. What is you favorite place to visit in Memphis? I cannot pick just one, there are too many to choose from. I always enjoyed visits to Graceland.